We’re hard at work on issue 8! 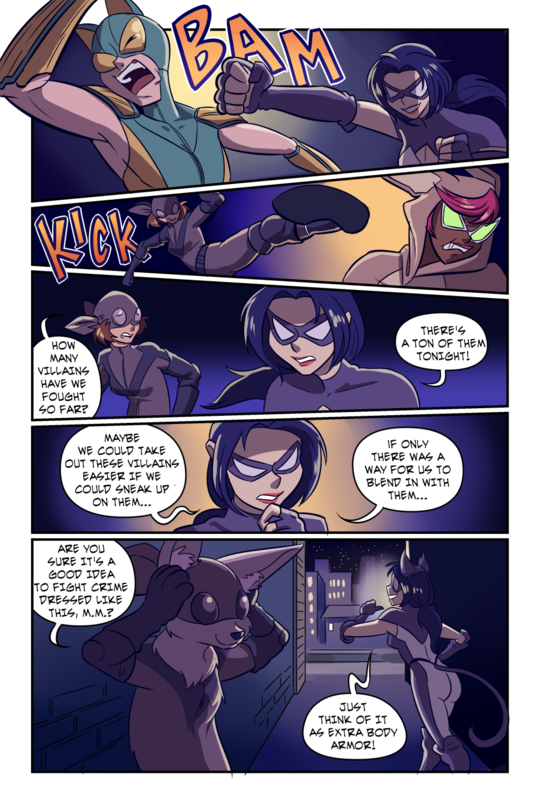 In the meantime, enjoy this guest page, courtesy of our friend Nessie Fynn! Check out her comic, Dr. B. Goodlove! While we work on issue 8, we’ll be posting a bunch of sneak peeks and exclusive content to our Patreon page, so check it out! I keep reading M.M. as mom. If it’s Furry Night in the city, you should act as everyone else does! The Fast and the Furrious? I think you meant The Fist and the Furrious. Honestly, I’m impressed they even FOUND one on such short notice at that hour. Looting the corpses of your defeated enemies is a longstanding hero tradition.